Serta iComfort is a mattress brand made to accommodate various personal preferences. You will find many models and even more levels of firmness. All have gel-infused memory foam on top of a six-inch foam base. Tempur-Pedic has the TEMPUR material. It adapts to your body shape, weight, and temperature for optimal comfort all night. iComfort vs Tempur-Pedic: How Do They Stack Up? The iComfort’s strong point is its foam construction. You will sleep atop a gel memory foam. The lower layer is a six-inch foam base. Serta being the largest mattress company in the U.S., its experience provides many benefits. If you like a mattress that conforms to your body, this is the one to get. It provides support for your neck and back. Relief of pressure points leaves you pain-free and refreshed in the morning, especially if you suffer from back pain. We’ve also found the iComfort to come with the motion isolation typical of memory foam. If you’re partner moves in bed, there’s little distraction. Other benefits include edge support. It’s hard to roll off the bed if you sleep near the edge. The base and support layer, on the other hand, are ideal if you are in an average weight range. Nonetheless, it breaks in quickly and there’s no noise during movement. We experienced no off-gassing, although a small percentage of iComfort owners say there’s a chemical odor when the mattress is new. The 6% is the same as for all beds but much lower than memory foam mattresses in general. Serta stands out in another area. Its Interactive Brochure provides insight into all of the models available. A strong emphasis on features lets you assess which model has what you need. There’s also the iComfort mattress Selector. It asks you various questions to find the right mattress. The Serta Test Rest app assists you before and while you’re shopping. The Aura EFX starts at $850 for a twin size and $1,275 for a queen. It is nine inches thick with two inches of gel memory foam and a six inch foam base layer. There’s also .75 inches of regular foam. It is suited for all sleeping positions. At $1,575 for a queen, the Savant Everfeel Plush has two memory foam and two regular foam layers. It has a medium-soft feel, while the Cushion Firm model offers a medium firm feel for back and front sleepers for the same price point. Also a Tempur-Pedic competitor, according to Sleep Like the Dead (SLTD), the Visionary EFX Plush offers four foam layers in a 12 inch mattress. It is best for side sleepers. A firm model accommodates back sleepers much better. On the high end, the 13.5 inch Epic offers five foam layers at $2,775 for a queen size, but its medium-soft feel suits all sleeping positions. Somewhat high on the price end, iComfort mattresses range from $650 to $3,200. The individual model and size are the main cost factors. Adding a foundation can add to the price as well. The more memory foam and thickness there is, the more expensive the mattress will be. On average, a queen size costs close to $1,900. Tempur-Pedic: Does It Stand Up to All the Hype? Tempur-Pedic has set the standard in the mattress industry. Its products are often a little pricier compared to those of competitors, but there are many benefits. For one, lifespan and satisfaction over several years is higher than mattresses in general. Longevity is a proven factor in models such as Allura and Grand that have been around a while. There are many newer models. Despite this, their specifications suggest their lifespan will be quite similar. Average ownership length, according to (SLTD), is nine years. Tempur-Pedic mattresses last twice as long as similar entry-level ones. 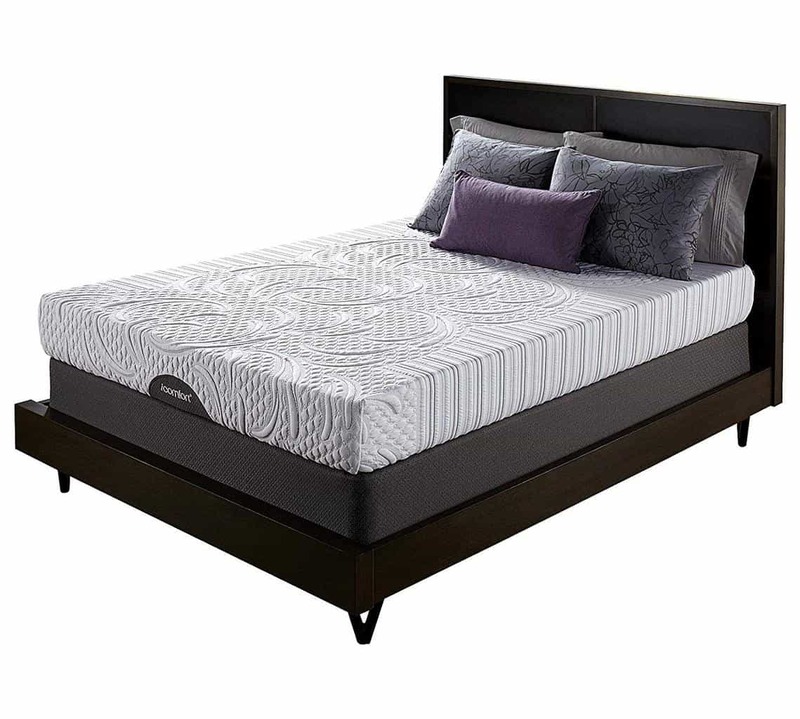 Compared to luxury models from Serta, Sealy, and Simmons, there is an advantage here as well. Mattresses in this brand tend to soften over time. Some sagging happens over a few years as well. These are not likely to happen within four years. In fact, fewer Tempur-Pedic customers report premature sagging than with spring mattresses. The brand is known for its high-quality memory foam material. An air/memory foam hybrid, the unique Tempur-Pedic Choice is somewhat resistant to softening over time. Its air support significantly reduces the chances of sagging. Basic memory foam collections include Contour, Cloud, Choice, and Flex, which all come in a range of standard models. For many, back, shoulder, joint, and hip pain relief is seen, especially with the higher density Contour models. Not everyone experiences pain relief, however, but Tempur-Pedic performs better than other mattresses in this area. A variety of foam densities are available to choose from. Motion isolation, better sleep, and minimal noise are other pros. Off gassing is the most common complaint. A higher rate of people report a chemical or musty odor than with most other mattresses. For most models, it’s not usually that strong. Most people actually report none or minimal odor. An overwhelming majority said the release lasted three days or less. Some people also say their mattress absorbs and retains body heat. This warms the material, although moisture wicking covers are included with most models. Breeze models feature a cover material and comfort layer to reduce heat trapping. Higher density models tend to be firmer when cooler. Overall, the mattresses can make moving around or getting off the bed tough. This is a trait of memory foam products overall, but some newer models are less resistant to movement. Tempur-Pedic mattresses cost anywhere from $1,200 to $8,500. Although we agree that these are worth the price, for the most part, cost is an issue. SLTD reported more people mentioned price as their primary complaint than with any other major brand. Longevity, quality, and comfort seem to make up the difference. In the battle of iComfort vs. Tempur-Pedic, it depends on the memory-foam mattress you find the most suitable. If you’re sensitive to off gassing and heat retention, iComfort models are good. If you’re looking for longevity and conforming support, Tempur-Pedic offers many benefits to those who can afford the higher cost.